I don't want to create confusion of the upcoming one billion edits that have to be done in order to (partly) resolve the big, complicated and messy topic the Demo Discs are. Kolano cleaned the Gamecube Wiki page up and I don't want to be the guy how a) makes it dirty again and b) decides the following without the community. I did a lot of research and will list sources during this post. Feel free to correct me or do some research yourself. I will talk about differences to the wiki under this list. Differences to the wiki: I would like to hear your opinion. The Versions "v3" to v19 and their European counterparts are vastly different, so the problems and their respective ratings don't apply. The currently given ratings are for the US version, not the EU. I would like to add the contents of the US and EU versions to the wiki pages since I already documented them on paper :O. I don't own the AU versions, but since there name and date matchup with their European counterparts, it's likely that they have the same content. Please message me if somebody has a list of contents for the AU versions. The same applies to the "Club Nintendo Original e-Catalog 2004" since its contents are really different from the US and (EU/AU). Japanese versions. I don't have them... not much is known about them, nor there contents. Some known with IDs: http://redump.org/discs/system/gc/?page=2http://redump.org[...] Search for Gekkan Nintendo [...]. 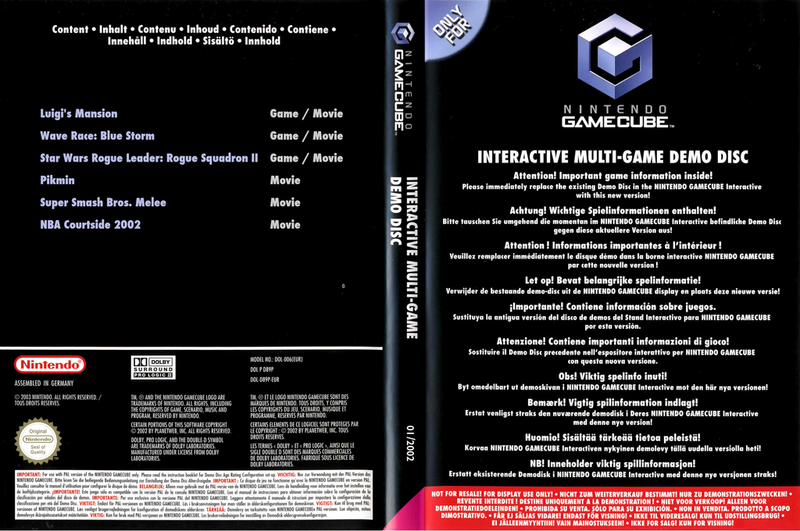 Some are missing from redump.org: http://wiki.redump.org/index.php?title=Nintendo_Gamecube_Asia_Missing. I would redirect them to the US side, because I can't come up with a better solution. by the way: some AU IDs are missing right now (those are in the list above). At last: I would like to do apply all of those changes, test and rate all of those discs (I own), but not if you disagree. Thank you for your paitions and for making it this far. Moved to...er...General Discussion I guess, since its a better choice than Site Feedback. (07-24-2018, 02:27 AM)Jack Frost Wrote: Moved to...er...General Discussion I guess, since its a better choice than Site Feedback. Yes, you're right! Thank you for more visibility. 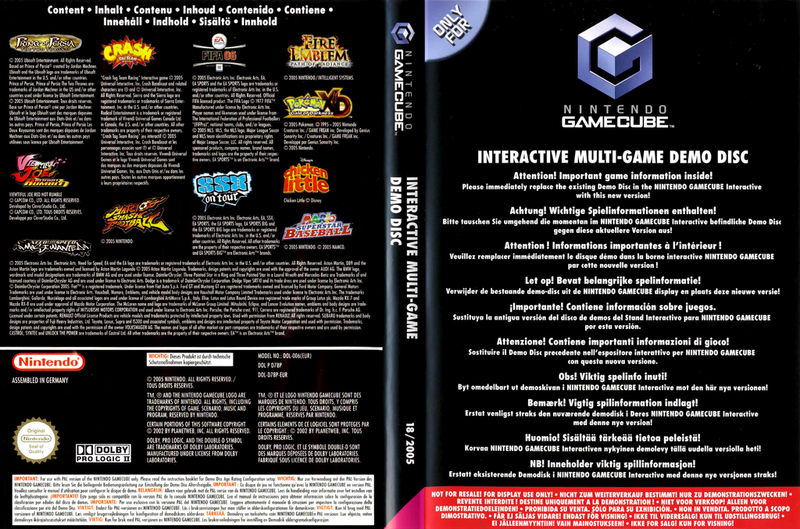 While I do presume there are likely some significant regional differences, I want to be careful about breaking up discs with similar release #'s/gameids, so I'd generally be counter to splitting up pages outside of cases where titles on the discs significantly deviate. Some additional name redirects to the numeric names may be appropriate, though I think there may be some overlap in the month based names that may complicate that. I did not know that. That changes the name thing of course. Thanks! is it possible to give a game two different ratings on the same wiki page? I would list all the discs contents in the Description for each region. I would list the differences if they are minor. Two ratings in the compatibility list: I've of course noticed that the main dolphin page and the wiki are connected. We could a) let the page ignore these two ratings or b) let the page split it up with EU: and US: references. We could then merge [color=#0b0080]Animal Crossing[/color] (GC) and [color=#0b0080]Doubutsu no Mori e+[/color]. If that's a possibility because the disc's contents get with each regional release more and more different. They even went through the effort to create vastly different menus. I think the menu thing started on disc 7. Or we take the lowest common rating... which is not ideal in my opinion. a) We do it like redump.org and call the EU/AU releases [...] Disk [...] instead of [...] Disc [...] (US). I list the contents of every US and EU(/AU if it matches) Disc in this thread if you want. The ratings are handled per title on the wiki (and then by a mapping through the GameIDs elsewhere), so it should be possible to set multiple ratings if we assign varying names. However we generally have been trying to assign uniform ratings per title based on the GameID prefixes. As a starting point we should work out the specific cases where there are significant deviations between discs with the same GameID prefix before we worry about how to tackle this as it will probably be a bit messy given the various integrations. We should probably append region indicators where the same name applies to different discs (i.e. March 2002); I'm hoping these names will continue to just be redirect names, per the prior discussion on the numeric indicators seeming to be more consistent. That would be quite helpful, most of the discussion around all this has been a pain due to not really knowing what was on the EU/JP discs. For my following reply with the list: Please remember when you reading the list that the menus are different with different techniques for displaying gameplay previews after v6 (US on the UI, EU projected on a cube). There are no problems as far as I could see with neither of the versions, but I looked at it very superficial. This probably won't affect the rating at all. Just to mention it. The following is in order: left to right or top to bottom. The Legend of Zelda (untitled)_________(Movie) => Later called "The Wind Waker"
Paper Mario 2 (not final name)___(Movie) => Later called "The Thousand-Year Door"
Paper Mario 2 (not final name)___(Game) => Later called "The Thousand-Year Door"